What I am about to say may “shock” you: not all guns are created equal. I know, I know. It is painful, hard to stomach, for sure. But it is true. Of all the myriad guns out on the market made by all the dozens and dozens of manufacturers, some guns are excellent, some guns are pretty okay and some are just rough. And then you have these guns. The guns that are only theoretically better than no gun at all. Okay, I exaggerate slightly; I’d be wayward if I ever advocated someone go unarmed when they could have had some gun, any gun instead. Whether you are in the market for your very first gun or a new addition to your stable, read up on this dirty half-dozen or so guns that you don’t want to get saddled with. Maybe it is just some codependency kicking in, but I hate to see anyone shopping for a gun these days go home with a drastically inferior option for a ballistic solution to solve their pressing social problems when there are so many downright awesome guns to be had in every, single category. This is not to say that I have a problem with preference, I don’t, we all have our preferences, and if I like M&P’s where you like Glocks the things we are likely to argue over amount to nothing more than nit-picking. But the fact is this: reality cares little for preference. There is a distinct hierarchy among modern guns, and just because the difference between top-tier guns could be only molecules worth of difference practically does not mean that a bargain-bin pickup is just as good. I don’t begrudge anyone who has an inferior gun. I’m not an elitist. But I have seen enough frustration, failure and tears among students dealing with those inferior guns that I don’t want to see that happen to anyone else if practicable. Just How Bad Are These Guns? That’s a question that requires a nuanced answer. There won’t be any guns on this list that are meme-worthy hot, flaming hunks of garbage with no redeeming qualities. Guns that are so God-awful that they self destruct or are utter failures usually don’t last on the market, and today are little more than oddities or novelties unless they were cranked out in truly stupendous numbers. No, most of the guns on this list have at least some redeeming quality or characteristics, but I am putting them on the blacklist because they are so poor at the task that they are typically chosen for. You have to assess a given gun’s suitability for a specific purpose based on two broad metrics. The first, how well it can do what it is intended to do. The second, its overall quality, including all the usual hallmarks we look for such as reliability, durability, accuracy, ease of use, etc. You might have a gun that is made from top quality materials but is such an ungainly and awkward design it works against the shooter. You may conversely have a supremely well-designed piece that is put together from inferior materials with nary a QC check by don’t-give-a-damn employees. Both can fail you for different reasons. Some guns flaws are not skin deep and can fool the casual purchaser. In these cases, problems usually start manifesting after the shooter has dumped a quantity of ammo through it. Other guns are not necessarily defective in any particular way, and can be both reliable and vetted designs, but are simply too clunky, too awkward or too lacking to consider in the face of superior choices. Context is everything. I could not care less what you buy if it is just a gun for fun or an interesting piece to add to your collection. Go crazy, Lord knows I have before and currently own some pieces that I would never foist on a stranger or recommend for self-defense. But be honest with yourself. Self-defense is a deadly serious business, and your emotions and fondness for a given gun have no place in the calculations of weapon selection. I don’t care if you are choosing a gun based on sentiment, heritage, aesthetics or any other purely emotional reason; if you are, you are wrong. You need to be making these decisions based purely on merit, on quantifiable advantages. Not on emotion. Be honest with yourself: before you settle on a lesser gun, you need to get very clear with why you would not want every obtainable advantage in a fight for your life. 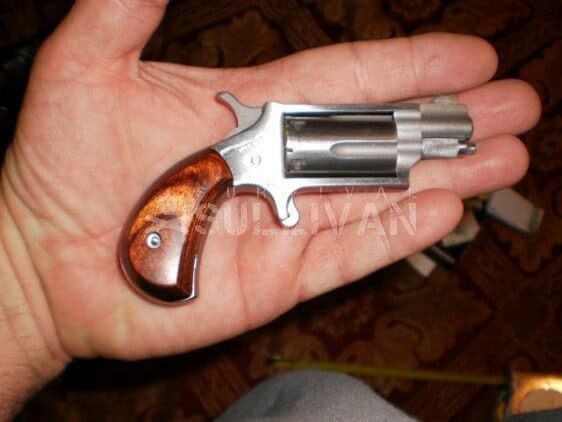 It is important to point out here that when I say derringer, I am not referring to any small handgun or pocket pistol as they are sometimes erroneously classed. I am talking about the genuine article in all of its awful, clunky, clumsy infamy. I am talking about twin barreled, break-action handguns that are shockingly still popping up in holsters of too many people for self defense. I have no doubt that part of their appeal is their mystique that hearkens back to the glorious and bloody days of the Old West, but that is where these guns should stay- in the past! Derringers of any caliber (including the .410 shotgun shell versions!) have nothing to commend them for self-defense: single-action operation, atrocious ergonomics and a clumsy manual of arms married to worst in class capacity. What is not to hate? To compound the sins of this class of gun, many older versions are poorly made. Even the finest examples ever made, the modern Bond Arms guns which are made with high-quality materials and expert craftsmanship, are still inheritors of all of this designs flaws. You might, might have a case for one of these as a highly compact and relatively lightweight gun that can fire a .410 load of small shot specifically for snake defense, but that is all. As a primary or backup gun against human attackers, these are a non-starter. #6 – .410 Shotshell Revolvers: Taurus, Governor, etc. At first glance, handguns of this type seem to have much to recommend them: the reliability and simplicity of a revolver packing a .410 shotgun shell with all of the can’t-miss assurance that entails! Plus, you can load beefy .45 Colt as an alternate! What could be better? As it turns out, a whole lot. Though made screaming popular by Taurus in all of their many Judge variations on this central theme, and offered by Smith & Wesson in their Governor series, the concept is seriously deficient among defensive handguns: wide, irregular patterns that open up way too quickly when using shot, tremendous bulk, and typically heavy, cruddy triggers. Even stoked with a .45 Colt (a solid defensive cartridge, if a vintage one) these guns are simply overly large and inefficient .45’s with nasty triggers and a 5-shot capacity. Another irritating precedent about these guns: their adherents seem to think that a .410 shotshell, the meekest of the shotgun cartridges, is a disintegrator ray so long as it comes out of a handgun. This is not the case, obviously, and while nothing to sneeze at, your average .410 load, even the specialty loads turned out just for .410 handguns, are pretty lacking in performance. If you want shotgun performance, get a shotgun. If you want a big bore revolver, you’ll be well served by any number of much better shooting big bores in .41, .44, or .45 caliber, even beyond if you choose. 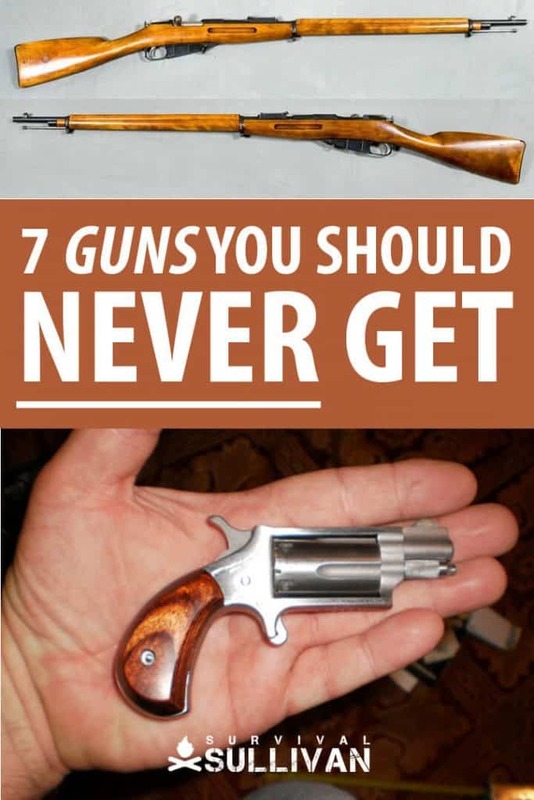 Leave these novelty guns alone! The current darling product among “long” gun purchasers are the new breed of non-NFA shorty “rifles” and “shotguns,” a concept popularized by the introduction of Mossberg’s Shockwave and Remington’s Tac-14. Since then, a flurry of similar concepts have rocketed to market, ARs, AKs, G-3s and everything in between. The appeal of a short, nimble shotgun that brings the power of a 12 gauge to bear in close quarters is certainly appealing, and being able to purchase it with no permission slips, tax stamps, extortionary fees and the like to deal with is a huge perk. But even so, sadly, they are rarely the best choice for defense. I’ll be right up front with it: there is nothing mechanically wrong with these guns, and they are reliable and certainly effective should you hit with them. They pattern well, and give up surprisingly little velocity compared to their longer barreled brethren. The problem is all in the wrist you might say; these guns are grindingly difficult to shoot well without lots and lots of practice, even at social space distances. When you cannot get most folks to practice with a fully stocked shotgun long enough to attain proficiency, why should you expect them to put in the extra work required to tame a scattergun that is even harder to shoot. But that is an idea: legally adding a pistol-brace to one of the 14” bbl. varieties will result in a capable and quick “shotgun” (really, “firearm”) that can perform admirably as a defensive gun. Simply stated, the .25 ACP is among the worst performing handgun cartridges. Across most loads, even the smaller .22 LR is a better and more consistent performer. As a dedicated defensive handgun, the .25 has no home: cartridges on either side of it are better in every regard, in guns that are the same size, larger or smaller. Worse, it seems most of the worst guns on the market today seem to chamber this runty underachiever. Now, there are high-quality .25’s out there, (by Beretta, Browning, CZ and many other good manufacturers) but the best launcher in the world will not make this round a better performer. My advice on the .25 ACP is this: don’t get one for absolutely anything else but a deep concealment “hideout” option, and that is only if a better gun in a different caliber cannot be had in the same size class. A .25 is certainly dangerous, but you’ll rarely be forced into one if you care to shop around. There exists among a significant portion of Kalashnikov fans the belief that an AK, any AK, is inherently reliable. That this is due to the divine inspiration of its creator or some unutterable sorcery, they are curiously hesitant to mention. The AK’s design being fairly adaptable to a lower-level of precision manufacture than, say, an AR does nothing but bolster this belief. Now, the AK is a fine rifle, and excellent design, but even it is not immune from being made so poorly that it barely qualifies as rifle alone. While you might say the AKs acclaim is ascendant lately with several companies offering rifles of bespoke quality, in years past and even today there were and are AKs commercially offered that were made so shoddily, assembled so haphazardly, they were hardly fit to be called guns at all. If you are looking at AKs near the bottom of the price bracket, anywhere from $350 to $450, you need to be very cautious. Manufacturers of such cheap rifles often use slapdash methods for assembling foreign parts kits bought for pennies on the dollar, and these guns will suffer from crap fitment, absent or improper heat-treating and a host of other maladies. One of the worst offenders is IO Inc., who prior to the end of the Obama presidency was shoveling out some of the worst rifles I have ever laid hands on. There are halfway decent AK variants that don’t cost an arm and a leg, but you must not convince yourself that you can get a silk purse for a sow’s ear just because it is an AK. I want to like these cool, well-made little single-actions, but I just can’t. Somehow these tiny things remain popular, and I just cannot figure out why. Take a revolver that is hardly bigger than an old click-top lighter. Now make it single-action. Yeah! Now give it a spur trigger. Alright! And now, make it so you have to disassemble the gun to load and unload. Super, we are all set here. Like Bond Arms derringers I mentioned above, NAA makes good, quality firearms. Like the Bond Arms derringers, these guns suffer from a design so niche, so specialized, that they enter the realm of irrelevancy. The NAA Mini-Revolvers are further hampered by a prickly manual of arms that you had better not screw up: if the shooter fails to place the tiny hammer in an equally tiny halfway notch between chambers, the firing pin will be resting dangerously on the primer of a live cartridge. Yes, the designers accounted for this with the notch, but no thank you! Not on something this tiny. Maybe there is a single, specific, precious situation where this is an ideal weapon, but for the life of me I cannot think of one. If you have found success (not adoration) with these little things, please let me know in the comments. The beloved “garbage rod,” darling of cheapskates and the mildly insane around the gun world. The Mosin-Nagant has very, very little to recommend it aside from the fact that it is cheap and it hits hard, firing the potent 7.62x54mm. While you can often nab these surplus rifles for under $100, there is rarely a reason to do so unless you are on the tightest of tight budgets. Mosins as a rule (with only few exceptions for nicely-made regionally produced variants) all suffer from rough, awful actions, pounding recoil and, to Westerners at least, poor ergonomics. Lots of folks like these guns for the wrong reasons. As interesting historical pieces, they are neat enough, a look back at decades of service in war, but strictly viewed by today’s standards they are singularly terrible as a design. I would rather have any other bolt-action rifle, with only one or two exceptions, than one of these. If a Mosin-Nagant is all you have or all you can afford, I pity you. Godspeed and good luck. There are too many good guns in all price ranges today to settle for terrible designs or awful quality. Especially if you will be betting the outcome of a fight for your life on your chosen firearm, do yourself a favor and do your homework. I’d advise you avoid entirely the guns I have laid out above. Owning a firearm is preferable to not owning one. Not owning one is a serf or, worse yet, a slave. When my dad died I found one of those tiny, single-shot babies. At first I wondered why Dad kept this toy wrapped in cloth, then realized it was real. Of course, he never intended to use it (he had plenty of other guns), but I realized someone must have give it to him, and he just kept it as a novelty. I have it now, but I would never have thought to use such a tiny thing. The size itself, it seems, would make it dangerously unusable. About the Moisin-Nagant, I know that they were being sold perhaps 15 years ago for $80 by some vendors. If a person can find them today for less than $100, as the author says, given that Russian ammo is relatively inexpensive, buying these rifles as “handout” firearms to others in a major crisis is an idea that deserves consideration. In dangerous times, any gun is better than no gun. And exactly who is going to be firing defensive shots at 1000 meters, and exactly how often will that be happening after a major societal upheaval? Im glad i saw this article i have been looking at Nagants for some time now.All i ever gear is that they hit hard and at long ranges and that they are not the best choice but yet a good one.I am on a bit of a budget but not so tight i would now risk buying a Nagant! Thanks!!! I have put in for two pistol permits and hoping to find a decent 1911 for one purchase and have been looking at Rick Armory for said 1911.What do you think of these firearms? Is Rock Armory a quality company? I have to disagree with this one. I found my Moisin-Nagant to be a fine rifle for war time production. While it will never beat my Springfield, Mauser, or Eddystone, it will do in a pinch. I have the same pistol. I load mine with bird shot and call it a snake gun. It can put a hurt on an attacker if need be. In this part of the open country some call it a boot gun. As to #5 (pistol grip shotguns) I have the best of both worlds. A Mossie 500 with a Choate top-fold stock. Metal, not the old cheapie plastic things that you used to see. Amen Survivorman99! I have two Nagants. One in 54 and the other in 39. Both have been converted to high capacity magazine feed. Yes they are heavy and yes they are loud and have a recoil. I rarely engage targets past the 200 yard line. But they have a great knockdown power. Great for beasts weighing more than 150 pounds, but not for squirrels. Shoot what your comfortable with. Because of recoil and noise, my spouse prefers the smaller caliber handguns and the AR-7. Great article that does provoke some thought into how to spend our scarce dollars. “If a Mosin-Nagant is all you have or all you can afford, I pity you. Godspeed and good luck.” I thought about this article a little more and I agree with the author’s specific comment, but to include the Moisin-Nagant in a list of guns you “should never get” is ridiculous. Sure, anyone who is seriously into survival-related matters should not make that rifle his primary defensive arm. Nevertheless, there are many reasons to buy Moisin-Nagants that were completely ignored. I expect that the author was in need of completing a list for his article and thought that taking a swipe at the Moisin was risk free. Moisins for less than $100.00? I think that the author hasn’t checked Moisin prices lately (or that perhaps this article was written 15 years ago). I have seen listings of Moisins on the internet asking for multiples of that price. That is where I would draw the line and buy something else. Yet, if the opportunity ever arises to buy a Moisin for $100.00 or less, a person with no conscience would be well advised to leap at the opportunity, even if his intention is to merely turn around and sell it at the next opportunity. If you can find a Mosin for less than $100 today buy it on sight. Buy every one they have. The cheapest I have seen a Mosin going for in the last year is $275, and now you are looking at $325. The days to $90 Mosins and $140 a crate for ammo, shipped are years in the past. Those are insane prices to pay for a Mosin, so yes, I agree, don’t buy one, I just had to check the puplication date of this article about 3 times to see if it was actually 3 years old when Mosins sold for $100. A Mosin Nagant for $100? You cannot find them for that price nowadays. More like $250 for a low end and almost $400 for an old hex receiver. Mine shoots great, and is very accurate. Yes it kicks like a mule, but I only target shoot with it. Cheap ammo, plus great accuracy, equals lots of fun. I totally disagree with you on this one choice. THE SMITH AND WESSON GOVERNOR IS A SIX SHOT REVOLVER THAT HANDLES THREE TYPES OF AMMO 410 45 COLT AND 45 ACP IN MOON CLIPS!! I WOULDN’T PUT IT IN THE SAME CATAGORY AS THE JUDGE!! Okay. Well, I have Mosin. I like it. It’s fun to shoot. Ammo is cheap. So, if it is so bad, what would you recommend instead? During WWII some Russian ladies did a bang up business in killing German soldiers with the Mosin Nagant rifle as snipers. They were much more effective than the German snipers using the vaunted 98 Mauser, just saying.